Joined the team with the April 2013 recruits, KoudelkaW sends out birthday greetings, and adds & removes birthdays from the database as necessary. Due to her hard work and ambitious nature, she was selected to take over as Head Admin in May 2016. She is Icesis' successor. Former head admin, having taken over from KittiesGoShoot as of November 2010 and stepped down in July 2013. He is currently on hiatus from the project, but still contributes provides input into the group's management and direction. He initially joined the project back in March 2008 after being chosen from some applications for a new team member. Icesis joined the team in 2011, after being picked from a shortlist of applicants. Manda has used her own initiative to keep track of statistics for the group, as well as add and remove entries from the database. In July 2013 Icesis became the group's head admin taking over from Caektiems, and is in charge of journal entries and CSS, as well as the management of the database and overseeing of the birthdays project. She stepped down in April 2016. She remains to assist the team in any way she can. The brain behind the new website/database that you all use. He joined the team in August 2007 and is responsible for any changes to the website and making sure it runs smoothly, implementing any new ideas he or his team members may have. Joined the team with the April recruits, LDFranklin sends out birthday greetings, and adds & removes birthdays from the database as necessary. Joined the team with the August recruits and returned in 2018, GazSpaz sends out birthday greetings, and adds & removes birthdays from the database as necessary. TaNa-Jo keeps an eye on the website's design. She is responsible for the profile page of birthdays. If there are any problem - feel free to contact her by note. Suggestions are always welcome! Joined the team as the new member for May, UndertakerMichaelis sends out birthday greetings, and adds & removes birthdays from the database as necessary. 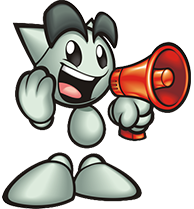 Joined the team as the new member for August, Viamie sends out birthday greetings, and adds & removes birthdays from the database as necessary. 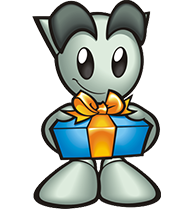 Joined the team as the new member for February, Symphonic-Labyrinth sends out birthday greetings, and adds & removes birthdays from the database as necessary. Joined the team as the new member for September, Nabashta sends out birthday greetings, and adds & removes birthdays from the database as necessary. (1) Please subject/title your note to this account with "Add" only. (2) Then include your birth date in the following format for example: November 11th. Please only leave us your birth date in the note. If you want to leave us any praise etc please leave this on our profile page! Important: Please do not write your birthday as 09/10 for example because different countries switch the dates around. Birth dates left on the profile page and/or journal will not be added. If you no longer wish to be listed on the birthdays website and would like to be removed, then please send us a note requesting to be removed from the website. Please include the username to be removed. (1) Please subject/title your note to this account with "Username Change" only. 1. 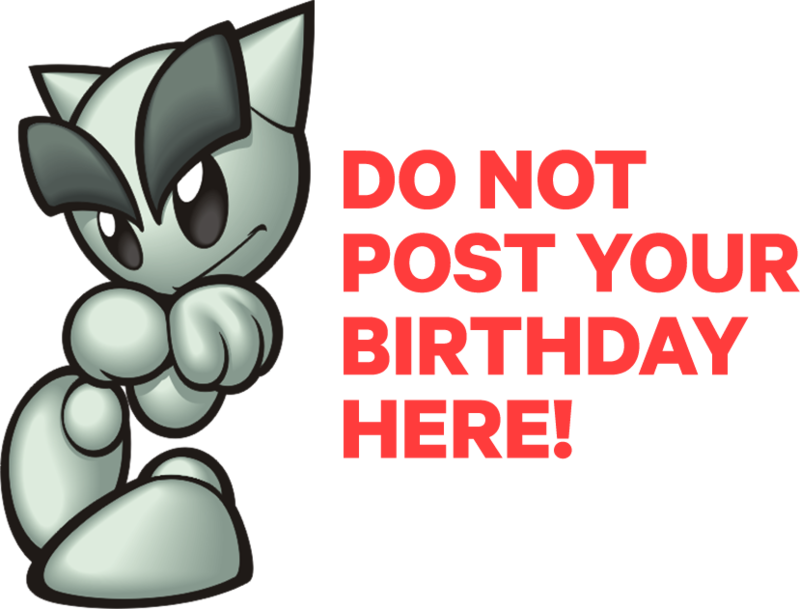 Being listed on the public birthdays database/ list/ website, where any deviant can search and view your birthday (we don't list years). 2. To receive a birthday greeting on your birthday from us, the birthdays team, every year until you tell us you no longer wish to be listed on the database. 3. Accept that since your birth date is listed on the database, others may leave birthday greetings on your profile page as well as us. birthdays has started a donation pool! Random draws for cake badges! All donations are welcomed, and appreciated. We're a group run by the community, for the community! With your support, we will be able to continuously bring birthday wishes and enjoyment to the community. Be honest... Did you fall for our April Fools prank? 301 deviants said Never saw it! There's currently birthdays in total stored in our database. This is after regular deletion of inactive, banned and deactivated accounts! The maximum amount of notes received within a 24 hour period was 84 on September 25th 2008. They came by way of aunjuli's Is your birthday listed here? poll. i have another question, srry btw xD. like it would say "*insert username here* has *insert number of days* until their birthday' or something like that. for example, has one.. how do i add it to my profile?